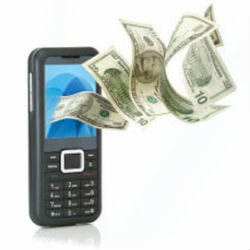 Three Tanzanian mobile operators – Airtel, Tigo, and Zantel – have signed the first African mobile money transfer intraoperability agreement on 4th of June 2014 in Dar es Salaam. The intraoperability refers to allowing customers of each telecom operators to send and receive mobile money to each other using Tigo Pesa, Airtel Money, and EzyPesa e-wallets and is expected to be fully implemented by the end of June 2014. According to the joint press statement of the three companies the new arrangement will simplify some procedures like abolishing of PIN codes when withdrawing money while at the same time will provide higher security to customers’ e-wallets. This agreement is hailed as one of the steps towards greater financial inclusion, with about 16 million customers expected to benefit from intraoperability according to Millicom. Tigo’s General Manager for Tanzania, Diego Gutierrez, said that he is excited about working with Airtel and Zantel: “Just as we cooperate with our competitors on voice calls and text to help our customers, so we hope to be able to do the same with mobile money and help make Tanzania a global pioneer in digital financial inclusion”. Zantel’s Managing Director Pratap Ghose also expressed his contentment with the coming partnership and Zantel’s commitment to excellence and innovation: “Zantel is proud to have been the pioneer in launching Mobile payments in 2008; and hence will work with the industry and the regulatory bodies to ensure that we offer best in class services to our customers”. Airtel’s Managing Director, Suhil Colaso, stated the following: “Airtel is committed to introduce to our customers new innovative services that look beyond competition, a tremendous evolution to ensure mobile inclusion that is sought by many Tanzanians taking into account our reach across the country”.